We are pleased and proud to announce the news: Hydro One is teaming up with the United Premier Soccer League! The announcement was made on January 2, 2019, and we’re looking forward to a great and healthy partnership with the rapidly growing UPSL in the future. 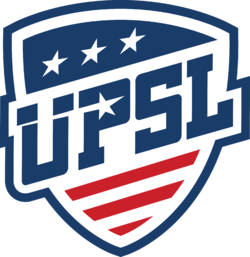 The United Premier Soccer League was formed in 2011 and is today the fastest growing Pro Development soccer league in America, with 300-plus current teams and a projected number of 400 teams for the 2019 season. The league is now represented in 75 markets in 36 states, and features thousands of star young players, coaches, trainers and other employees. Our beverages are designed by doctors and scientists, with the help of athletes, to aid in athletic performance without the excessive artificial flavors, sugar or caffeine found in other sports drinks. Our specialized drinks include Hydro One BODE Sport in multiple flavors, which is high in potassium and assists in recovering from muscular aches and cramps. BODE is an electrolyte beverage made from a balanced formula of vitamins and minerals, with Co-Q10 and D-Ribose for faster muscle recovery. As USPL Commissioner Yan Skwara stated in the announcement, “Soccer players are always seeking the best possible product on the market to support their game, and Hydro One is just that product.” At Hydro One, our mission is to provide great tasting, all-natural and low calorie sports beverages, with essential nutrients for athletes and for people seeking healthier lives. Fans love to drink what their favorite athletes drink, and we’re just as excited as the teams and fans at the news that Hydro One is teaming up with the United Premier Soccer League. Click here to see more about our sports drinks and to try Hydro One beverages for yourself…we think you’ll love both the increased performance and the great taste.